So the week started out with a 20km run on the Monday, the missed long run from the Sunday before. Seemed I made a good decision as the weather was had vastly improved over the Sunday and it was actually quite pleasant out, apart from the wind which made going a a bit tough in places, especially as I got more elevation. Tuesday I ran in the evening, changing my normal routine of running first thing in the morning before work. It was a fairly straight forward road loop, which appeared to be a good choice as I think I set one of my fastest 7km runs at 0:34:23. Wednesday was another evening run, this time with Gareth and Kirsty straight after work, a nice recovery run with some hill sprints thrown in for fun. Thursday was just under 10km, with Friday being a day off as I had the Asics Trailman on the Saturday. Obviously Saturday was the Trailman (I have written a seperate review of the race) and Sunday was a couple of hours of Squash in the morning with a cheeky 8km run in the afternoon (it was far to sunny to pass up the opportunity). What I have become aware of this week is the difficulty of running seperate races in-between my longer term training for the NDW50, as really this week should have been more of a taper for the Trailman, which I didn’t really do due to the necessity of getting the miles on the legs. I think I paid for this on the actual race, so this is somthing I am going to have to bare in mind with the other races that are booked before August. On a side note, I can now see the red on my trainers again (yay). I can probably sum up the Trailman in three words: Mud and Hills. 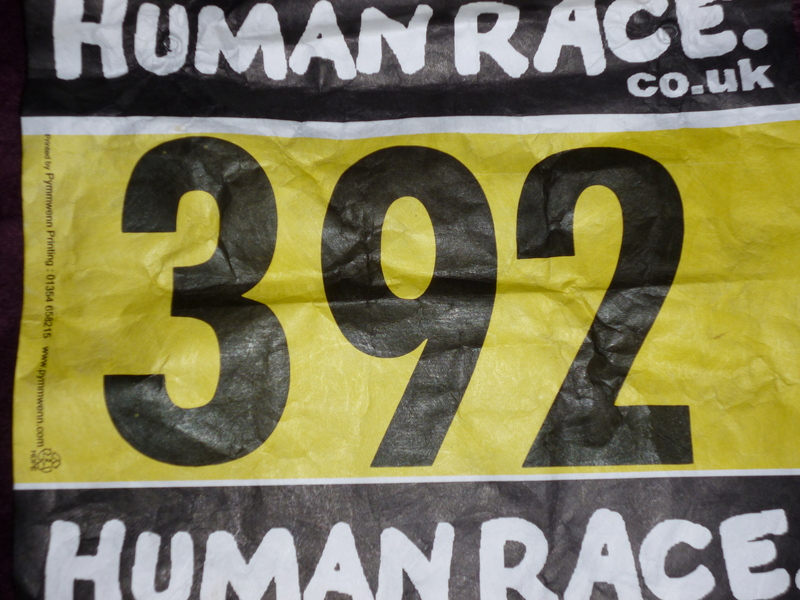 This was my second Human Race event, with the Wildman earlier in the year and as I have come to expect the event didn’t dissapoint. The last race of the Asics Off Road Series (which comprises of the Iceman, Mudman, Wildman, Tuffman and Trailman) the event hosts a Duathlon, 6km run and 13km run. Deciding that the 13km run was the one to go for, myself and two others (Gareth and Matt) were up nice and early to head down to Eridge Park for a 10am race start. I have run at Eridge park before for the Major series and sort of knew what the terrain was going to be like but had underestimated how bad the mud would be. Upon arriving we had to go collect our race numbers, me being 392, collected our excellent race T-Shirts and then headed back to the car to get ready and then sit and wait for the start. 9:45 arrived and it was time to head up to the start line (following a quick pre-race wee), having seen the race map I was aware that the start would be a steady downhill, which I hoped help me get into the swing of things before the inevitable uphill. A quick pre-race briefing and we were off. We had started pretty much at the front of the field and the quick pace I was having at the beginning was short lived as I hit the first of the muddy ground, it wasn’t deep but very slippy underfoot which slowed me down and I wasn’t able to keep the pace I had hoped the downhill then levelled out, and the mud got deeper. It was at this point that I realised I had made a mistake, having not anticipated the amount of mud my trainers were not as tight as they could of been and as I was striding happily along suddenly I had a wet sock. Looking back my left trainer was embedded in the mud, causing me to stop, turn around (sock getting wetter and muddier) collect my trainer, put it on again (wet muddy sock now inside trainer) and head off again. This resulted in me losing a number of places in the field but more importantly I was thrown off my pace (and had a wet foot) however, the good news was that by left foot wasn’t going to be lonely and the right soon joined in. After this short but costly error, the course headed uphill. This hill went on for EVER, everytime I thought it was going to end more appeared. I dropped to a walk as it was more efficient to do this than try and run the hill, and by then my legs had started to give me some pain down the outsides of the calf muscle. With the continuous hill this only seemed to get worse and I was getting concerned that I had done too much in the week and hadn’t tapered properly. When I finally got to the top of the neverending hill my legs were screaming at me. The levelling out helped somewhat but it wasn’t long before another uphill occured and with the mud, the I couldn’t maximise on the down anyway as half the time I was having to pigeon step my way to stop slipping over. On these runs they have people running with dogs, the owner being strapped into a harness while the dog runs ahead(at points I was wondering if I could get pulled along as well!!). This isn’t really a problem, but I did have one of the dogs stop, squat down and take a poo right in front of me which wasn’t exactly pleasant, but hey I guess if you have got to go you’ve got to go. Being split into essentially two loops meant that the course took us over the Start/Finish after the first 7km loop (this was slightly incorrect which i will detail at the end of the post), before heading out to the 6km loop. I grabbed some water at the station and carried on, hoping the second loop wouldd be more forgiving than the first, it wasn’t. More uphills, more mud meant that the going was tough and despite it being cool out, I was pouring with sweat. About 9km in there was a sharp decent which was difficult to navigate due to the slippy nature of the mud and by then any tread I had on my trainers was caked in mud and totally ineffective. 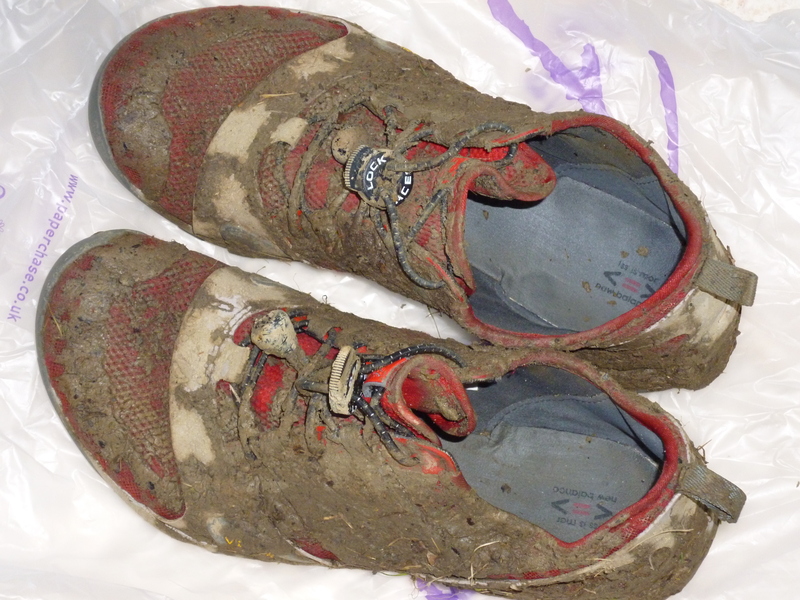 This continued until a muddy bog which covered both my trainers completly, but hey, at least they both stayed on! So, I had gotten to the bottom of the hill and through the bog, and you guessed it, it was back uphill again. Again a mix of running and walking, I got chatting to a guy you had done all of the runs in the series so far and he said that this was by far the toughest, which helped aleviate some of the frustration I was having not going as fast as I had hoped. Reaching the top of the last big uphill it was a long downhill to the finish line, picking up the pace to try and claw back some time I crossed in 1hour 13minutes and 41 seconds averaging a 6:12min/km pace (read slow). A much appreaciated Lucozade sport handed to me and that was it, done. I mentioned earlier that the distance was slightly off, in the end the course worked out at 11.9ish km, just over a full km off the advertised length, with the first loop being just under 6km and the second being 6km. Not really an issue as it was a hard run, but if it comes up short your always left thinking “if I had known I may have pushed harder”. 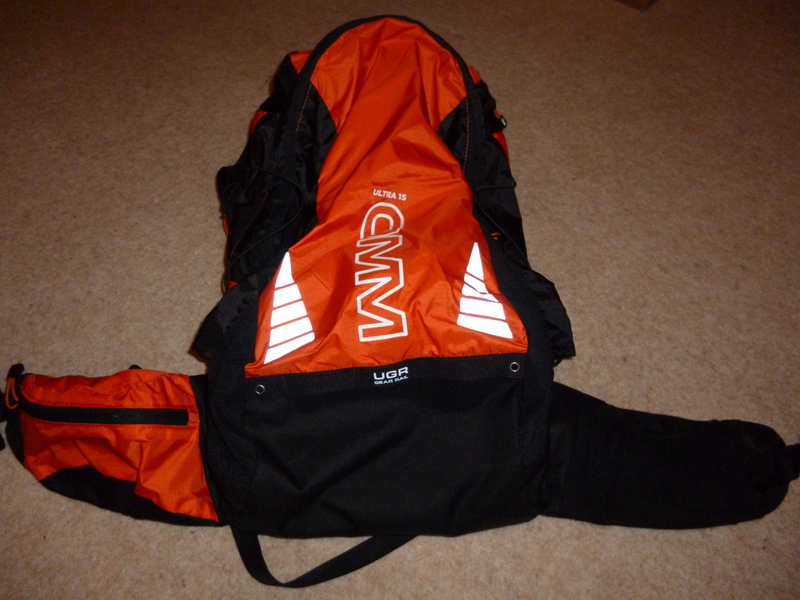 Right my first gear review is for the OMM Ultra 15 pack and the i-gamy bottle holder. 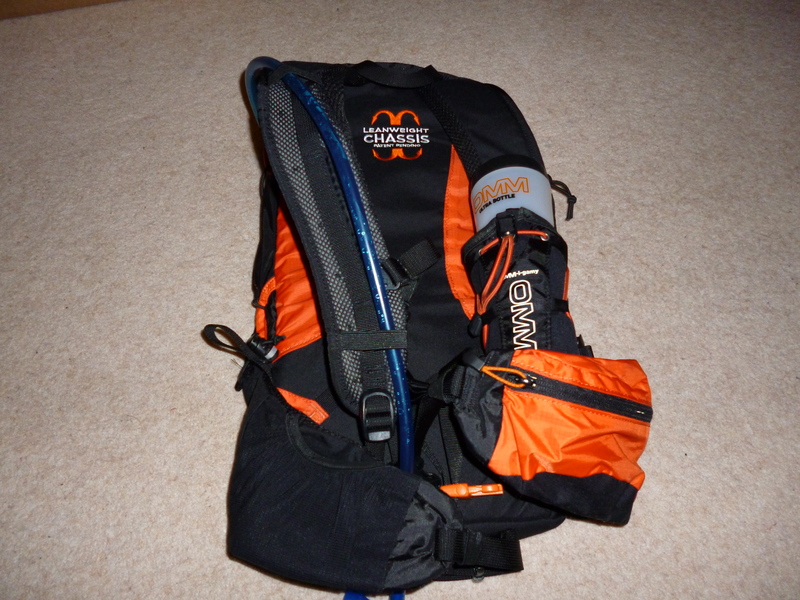 I have had this pack about 2 months and have been using it for all my long training runs, with a view to using it for the North Downs Way 50. The pack has 1 main compartment, a small top compartment and a zipped hip pocket and mesh hip pocket. Size wise its a 15 litre pack but can compress down to keep everything secure. Apparently you can take up to eight water bottles on the pack, 2 in the mesh holders on the back, 2 in i-gamy holders on the shoulder straps and 2 in i-gamy holders on the waist straps (I still need to workout how the i-gamy fitst to the waist straps!!). The picture above shows how I am running the pack at the moment, with a 2 litre Camelbak and i-gamy, although i probably will get another i-gamy for the right shoulder to keep the balance level. Above is the Camelbak inside the pack, a bit of a tip which keeps this secure is to use the compression straps which come with the Leanweight MSC and route them on the strap points on the bag, not only do you get a decent way of compressing the pack, the Camelbak will be compressed against the back of the pack keeping it tight and stopping it moving about. No real negatives with the pack, although pulling the shoulder straps tight leaves alot of excess which can be annoying when they flap about. 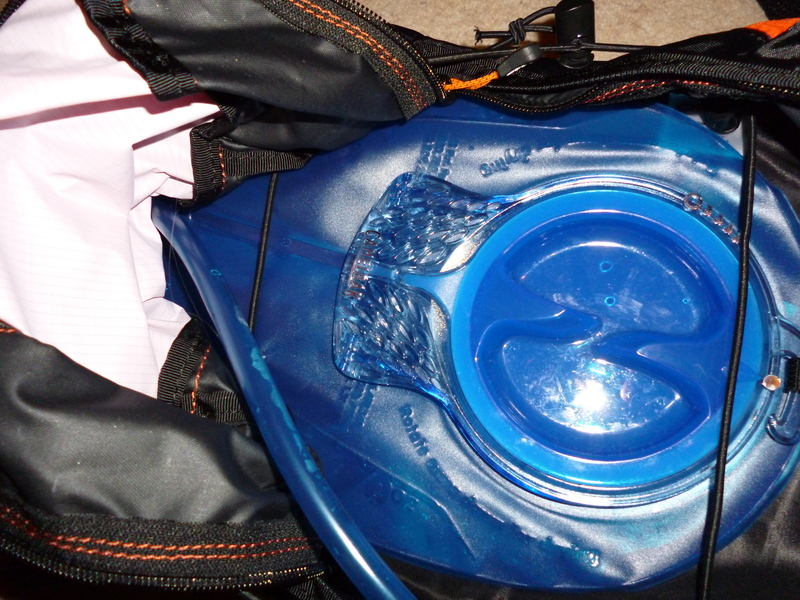 Its comfortable and lightweight, weighing 410grams with the foam insert inside. 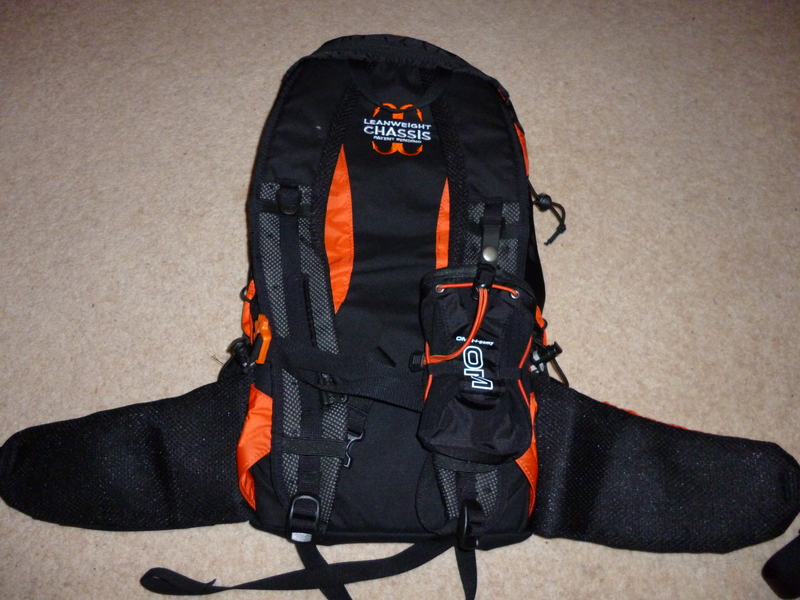 I would recommend this pack to anyone looking for a good running rucksack or fast hiking pack. The week started out well, Monday was a rest day following the weekends training (and the lay in was most appreciated). Tuesday was when the fun began with a 10km run in the morning, it was also Tuesday when I realised that i was about 12km off completing a total of 200km for the month. I wasn’t sure if I would be running both Wednesday and Thursday so I wanted to ensure that i hit the magic number, and did a 5km run Tuesday evening as well. I was quite pleased with the pace of that run, the only problem being that when it came to Wednesday morning by legs were dead and the 7km that morning was unpleasant, but carried on with the 200km ticking over and me achieving the most distance run in a month. I decided Thursday should be a “rest” day and so didn’t run, instead doing a weight workout on my legs. Now you would think that running would mean that my leg muscles are pretty used to being worked, well it seems that was proved wrong. You know when you have overdone things when you need to lower yourself into a seat with your arms!! The aches didn’t relent for Saturday, so a long run was not looking like a good idea. Part of me thinks I probably should have just pushed on and done it anyway but with the legs aching and the late night (read Guiness) I opted out and just completed a 10km run instead, still off road and got some good hills in. Sunday was Squash, where a few of us play for a couple of hours. Only won a couple of games and Steve (my Squash nemesis) seems to be pulling a lead on the games front, with him winning 4 to my 2. Started well this week, ran a 10km run on the Monday which, although no off roading involved was enjoyable. Tuesday was a 7km run but was feeling a little bit ropey, nose was starting to get blocked and breathing was a little ragged. Woke up on Wednesday with the intention to run to the gym, but was in no condition to do so so had a lay in instead. This continued to Friday where guilt for not running or going to the gym was taking over, so a run to and from and a quick workout was in order. Saturday is the usual day for my long runs, and despite a nose that seemed to have an infinate amount of snot i decided to carry on. Was a great day for it, and i wanted to test my new OMM I-Gamy for my backpack as well. Usual route taken, from Croydon to Addington hills, then down to Addington and up Featherbed lane, picking up a trail that takes me up the hill to Warlingham. Generally this route is all up hill on the way out, and when heading back home it tends to be downhill. Still using the 5:1 method, basically run for an hour then switch to 5 mins run 1 min walk, finding a good technique as the 1 min walk encourages you to take on fluid and nutrition (a must for an Ultra). In the end it was about 25km, slowly increasing the distance. I will carry on at the 25km distance for a couple more sessions then increase it to 30km. Sundays run was excellent fun. Got up nice and early to go an meet Gareth, then headed to Boxhill for a training run that he had mapped. Started well, nice gentle decent, then slight ascent which was all fine. Then, the longest downhill which seemed to go on forever (and was not gentle). Eventually we arrived at the stepping stones at the base of Box Hill, with the intention of going on around then back up, but we picked up a trail, ran for a bit and the trail promptly ended. Rather than go back there was a scramble up the hill (no trail to follow) which was a full feet and hands job. We found our way back to a clear bridleway and headed back to the car, what was supposed to be a 10km run ended up being 15km, however it was great fun and i would do the same route again (minus the scramble).